Arthrogryposis (arth-ro-grip-OH-sis) means a child is born with joint contractures. This means some of their joints don’t move much and may even be stuck in 1 position. Often the muscles around these joints are thin, weak, stiff or missing. Extra tissue may have formed around the joints, holding them in place. About 1 baby in 3,000 is born with arthrogryposis. Most contractures happen in the arms and the legs. They can also happen in the jaw and the spine. Arthrogryposis does not occur on its own. It is a feature of many other conditions, most often amyoplasia. 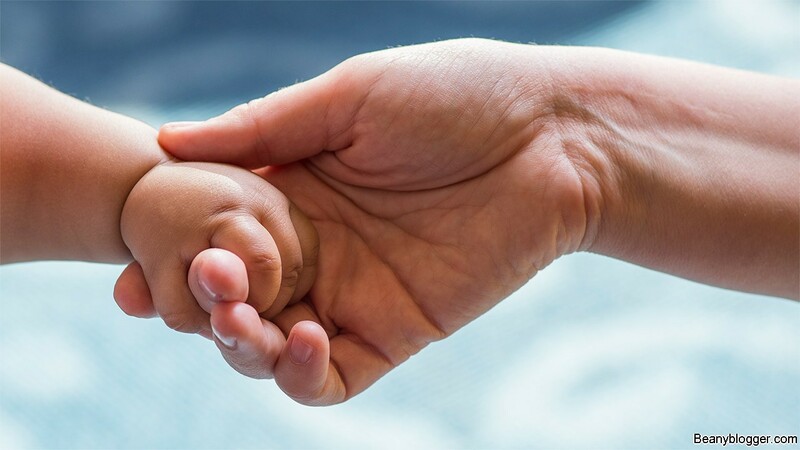 Children with arthrogryposis may have other health problems, such as problems with their nervous system, muscles, heart, kidneys or other organs, or differences in how their limbs, skull or face formed. This condition is also called arthrogryposis multiplex congenita. “Arthrogryposis” means the joints are curved or crooked. “Multiplex” means it affects more than 1 joint. “Congenita” means the condition is present at birth. Each child with arthrogryposis is different. In some children, the condition is mild. It affects only a few joints, and these joints have almost as much movement as normal. In other children, the condition is more serious. It affects more joints and restricts their movement more. In extreme cases, arthrogryposis affects nearly every joint. Arthrogryposis does not get worse over time. For most children, treatment can lead to big improvements in how they can move and what they can do. Most children with arthrogryposis have typical thinking and language skills. Most have a normal life span. Most lead independent, fulfilling lives as adults. However, some need lifelong help with daily activities. Some walk, and others use a wheelchair. The main cause of arthrogryposis is fetal akinesia. This means the baby does not move around inside the womb as much as is typical. Starting in early pregnancy, moving helps a baby’s joints, muscles and tendons develop. If a baby doesn’t move much, these parts may not develop well, and extra tissue may form in the joints, making movement harder. Nerve signals don’t reach the baby’s muscles because of problems with the baby’s central nervous system (CNS). There isn’t enough room inside the womb for the baby to move. This may happen if the womb is not the typical shape or if amniotic fluid leaks out of the womb (oligohydramnios). The baby’s muscles don’t form normally and are weak, or their tendons, bones or joints don’t form normally. Fetal akinesia usually has nothing to do with what the mother did or did not do while she was pregnant. Most families who have a child with arthrogryposis are not at greater risk for having another child with it. In about one-third of children with this condition, doctors do find a genetic cause. The families of these children may be at greater risk. Your child’s doctor can explain what this means for your family. Complex conditions that affect your child’s bones, muscles and joints may affect other parts of their body too, from their nerves or lungs to their bladder. Treatment is tailored to your child and family. As your child grows, doctors can adapt their treatment to meet their changing needs. 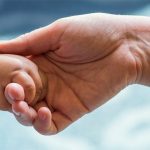 Along the way, doctors should consider all aspects of what your child and family need to thrive – from learning practical skills for daily life to coping with feelings. The Arthrogryposis Clinic team also provides prenatal consultations if an ultrasound before birth shows that your baby may have arthrogryposis. There’s a wide range of how children are affected, from mild (few contractures with nearly normal movement) to serious (many contractures with little or no movement). If the doctor thinks your child has arthrogryposis, they will examine your child carefully. During the exam, the doctor looks for details about how your child formed and how their joints are affected. The doctor also checks for problems with other body systems to tell whether your child has a more complex condition. Genetic tests can tell your doctor more about some forms of arthrogryposis, so your child’s team may suggest these tests, too. Sometimes doctors can diagnose arthrogryposis based on what they see during an ultrasound before a baby is born. If this happens, talk with your healthcare team about what they can tell from the ultrasound and what it may mean for you and your baby. The main goal of treatment for arthrogryposis is to help your child’s joints move as normally as possible. This means improving their flexibility, their strength and the way their bones line up. For your child’s lower body, the focus is on working with their feet and legs so they may be able to stand and walk. For their upper body, the focus is on working with their hands and arms so they may be able to do things on their own. Along with this, your child’s healthcare team – and your family – will do activities to build your child’s skills. No matter how much (or little) your child’s joints move, most likely they will be able to do a lot for themselves, if they are taught how. Physical therapy and occupational therapy are the main treatments for arthrogryposis. Your child’s therapy will be tailored to their needs and abilities. Therapy starts right after birth. Parents and caregivers play an important role by doing daily therapy at home. Physical therapists (PTs) use stretches and exercises to increase your child’s range of motion and muscle strength so they can move better. PTs also work with your child to improve their gross motor skills. This includes finding ways for your child to roll, sit, crawl, stand, walk and play. If a wheelchair, walker or other device might help your child be more mobile, PTs suggest these devices and teach your child how to use them. Occupational therapists (OTs) teach your child skills to take care of themselves (such as how to eat and how to get dressed) and ways to move around (such as how to get out of a chair and how to use crutches). They also work with your child to develop fine motor skills, such as writing. Many tools (adaptive devices) may help your child do things on their own. OTs suggest these tools and teach your child how to use them. Splints and casts are rigid supports that go around a joint to hold it in place. PTs and OTs use splints and casts as part of therapy. These supports can help line up your child’s bones so your child can move better. Splints and casts also help keep joints stretched, and they can improve or prevent contractures. Your child may need different splints or casts at different times. Some splints are worn only at night. Often children go through a series of splints or casts that are changed as their range of motion changes. Your child’s team will teach you how to work with splints and casts during daily activities, such as doing your child’s therapy exercises at home or getting your child dressed. Arthrogryposis affects each child in different ways, so your child may need other types of care, too. For example, some children need speech therapy. This can help them learn to speak more clearly if their muscles used for speech are weak or if the feeling inside their mouth is not typical. Some children need a gastrostomy tube or a tracheotomy if jaw, mouth or throat problems make it hard for them to eat or breathe. Some families work with a dietitian to make sure their child gets good nutrition. Your child’s team will put together a complete plan based on your child’s needs. Infants, children and teens are still developing, so they may need different care than adults do, like treatment that takes their growth plates into account. Your child’s team has special training in the medical, surgical, emotional and social needs of young people. As your child grows, their muscles, tendons and other soft tissues around their joints might not lengthen at the same rate. This can cause contractures to come back. Most likely your child will need ongoing therapy to deal with issues like this as they grow. Your child’s team may also recommend surgery. In most cases, surgery is done after a child improves as much as possible with physical and occupational therapy. Often it’s done when the child is older. But it may be done at any age based on what your child needs. Children with arthrogryposis need an expert team for surgery. Their surgeons must know how to plan the order of their surgeries to get the best results. Their anesthesiologists must know how to handle special issues, such as how to intubatea child who has problems with their jaw or airway. The doctors who give your child anesthesia are board certified in pediatric anesthesiology. This means they have extra years of training in how to give anesthesia to children safely. Talk with your child’s team about the benefits and risks of surgery and what results to expect. Surgery to cut into or through bone (osteotomy) to improve how joints line up. Surgeons may shorten or lengthen a bone or change its position. Surgery to lengthen or release muscles or tendons that prevent a joint from moving well. Surgery to cut through a joint capsule (capsulotomy), if the capsule restricts movement. Surgery for scoliosis, clubfoot or hip dysplasia. Posted in Health, Health & Fitness, Health Care & Medical.